Mini strokes are also known as a TIA – a transient ischaemic attack. Like strokes, a TIA is caused by a blood clot blocking an artery leading to the brain. The main symptoms are the same as those of a stroke, and usually begin suddenly. The difference is the symptoms only last for a few minutes or hours as the blockage is temporary. A TIA is a warning that you may be at risk of having a full stroke in the near future, and there are seven additional signs and symptoms that can occur. 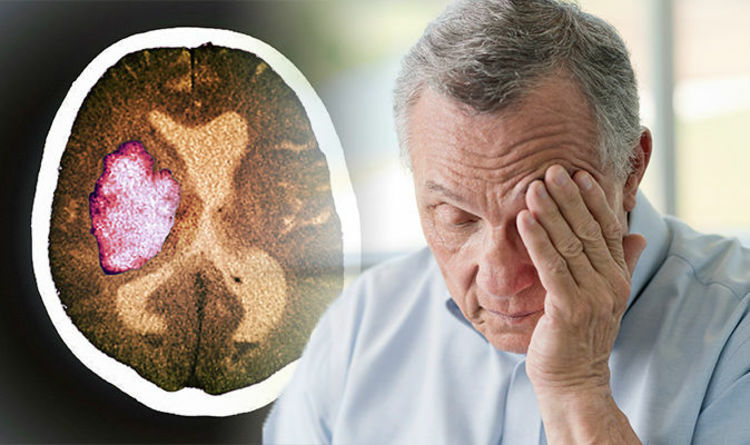 The NHS states that symptoms in the FAST test identify most strokes and TIAs, but they can occasionally cause different symptoms that typically appear suddenly (usually only a few seconds). The health body notes there may be other causes for these symptoms. So what is the FAST test? The main symptoms of stokes and TIAs to watch our for can be remembered with the worst FAST. F stands for face – the face may have dropped on one side, the person may not be able to smile, or their mouth or eye may have drooped. A is for arms – the person with suspected stroke may not be able to lift both arms and keep them there, because of arm weakness or numbness in one arm. S is for speech – their speech ay be slurred or garbled, or the person may not be able to talk at all, despite appearing to be awake. T is for time – it’s time to dial 999 immediately if you notice any of these signs or symptoms. The NHS advises: “A TIA is a warning that you’re at risk of having full stroke in the near future. An assessment can help doctors determine the best way to reduce the chances of this happening. If you want to reduce the risk of a stroke happening in the first place, the Stroke Association suggests being more physically active. Physical inactivity can increase your risk of stroke, heart disease, becoming overweight, developing high blood pressure, high blood cholesterol and diabetes, heart disease and stroke. It recommends going on a brisk walk, taking the stairs, and doing whatever you can to make your life more active. But whatever physical activity you do, the charity recommends doing it for a certain amount of time. Eating a healthy, balanced diet, can also help prevent a stroke happening. If you’ve had a stroke, you should talk with a registered dietician to learn how to plan and prepare meals and snacks – and one thing in particular the National Stroke Association recommends is not to miss breakfast. Heavy drinking raises your risk of stroke, but a small amount each day can have a protective effect.